Christian Dame has been managing change for nonprofit organizations, business, and government for over 40 years. He founded Non Profit Transitions (NPT) in 2003. As a new board member of a troubled agency he was asked to assume leadership temporarily and correct abuses. He employed the skills he honed as a management consultant to closely-held businesses changing leadership to chart a new course for the organization and recruit a permanent ED. That experience crystallized his vision of a specialized management consultancy offering professional change management leadership to nonprofits of all types and sizes. He has direct experience managing large-scale government and development projects involving design, finance, market research, legal issues, and community relations. Later he served as a consultant to closely-held businesses throughout the northeast and internationally. He’s served as CEO and board member of for-profits, and volunteer, board member, and chair of several nonprofits. 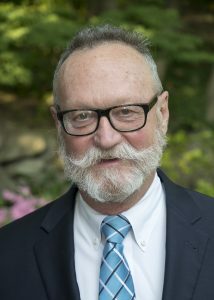 Since starting NPT he’s been the Interim Executive Director for many different kinds of organizations including a major homeless veteran’s shelter, Rhode Island’s largest Hispanic social service agency, a regional nonprofit housing development agency, a child care center, and a $30 million social service agency. He’s consulted to funders in several states about nonprofit turnarounds. Recruited by the President of The Rhode Island Foundation to head the team that established the Initiative for Nonprofit Excellence, he designed the foundation’s initial programs to train leaders, build capacity, and encourage excellence in the state’s nonprofit sector. As NPT’s President he’s consulted to numerous nonprofits nationally on start-ups, governance, executive coaching, turnarounds, program administration, strategic planning, succession, and a host of other transition challenges. In 2015 he joined Interim Executive Solutions. Chris has a Masters in City Planning from Harvard University. He completed the Third Sector New England Interim Executive Directors training program. He speaks frequently at conferences, and he is a certified professional mediator. He is also an experienced international mountain climber and photographer.